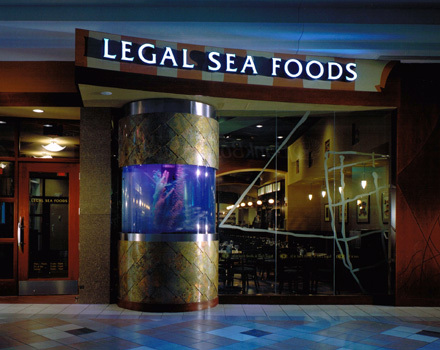 Legal Sea Foods is a chain of restaurants founded in the Boston area and found in the Greater Boston area. We decided to have lunch at the Legal Sea Foods at South Shore Plaza in Braintree on Bostons south shore. 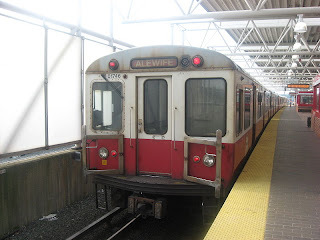 South Shore Plaza is a shopping mall located around one kilometer / half a mile away from Braintree Subway station, the end station of the Red Line. 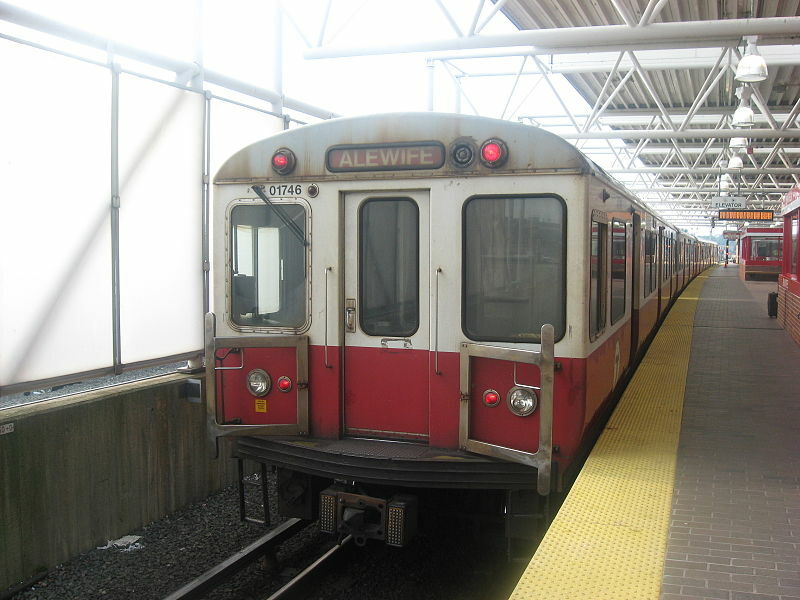 Getting there will take you around 25 minutes from South Station and a 10-15 minute walk. The time this would take, would not be justified, as South Shore Plaza is a mall in suburbia, like many of those found around any American city. We went there, as my cousin has got a car, and took a lunch after having bought clothes at Nordstrom. 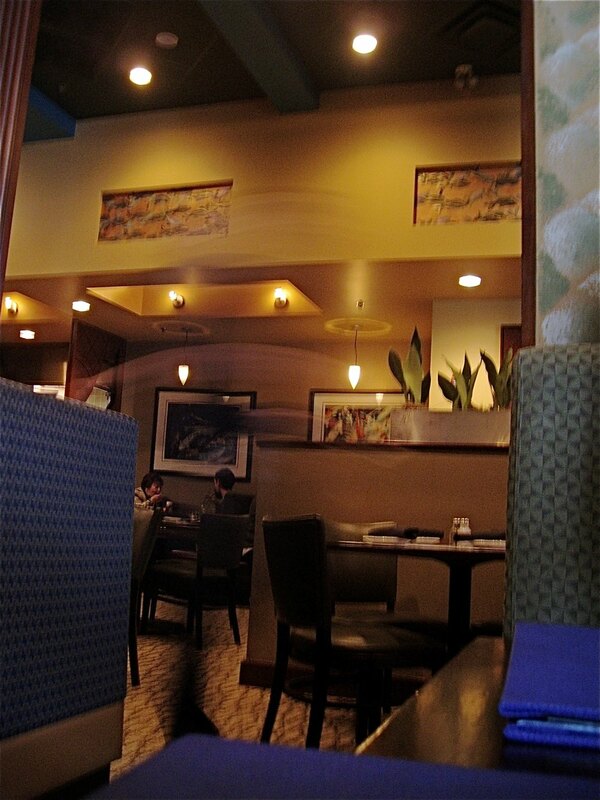 The interior at Legal Sea Foods was as interesting and appealing as the location was uninteresting. It was a little dark, but the interior had beautiful marine colours, blue, and tropical green combined with light wood. Interesting features were two large fish tanks underlining the maritime theme. As always in America, we were given excellent service. The Legal Seafoods waitress was friendly and efficient, took our order, and we were served expediently. I ordered a bowl of "authentic creamy bisque garnished with lobster" priced at $ 9.95. 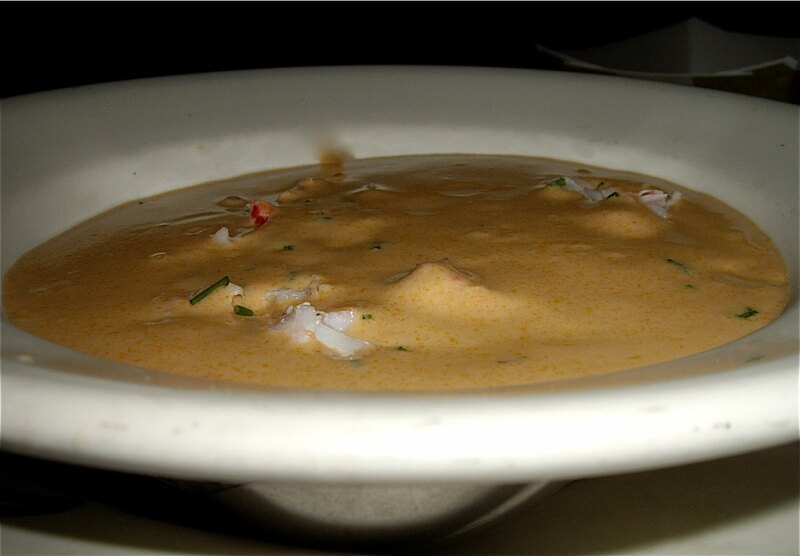 Lobster bisque as served at Legal Seafood. The lobster bisque, delicate red coloured, served in a large bowl. Thick, creamy and rich, very well balanced - a whole meal in itself, with large chunks of loster meat. Paying ten bucks for a bowl of soup seems a little stiff, but it was a whole meal in itself. The lobster bisque was definitely worth a visit and even worth a revisit next time I am in the US. .